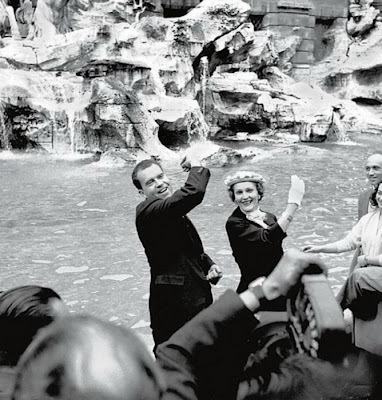 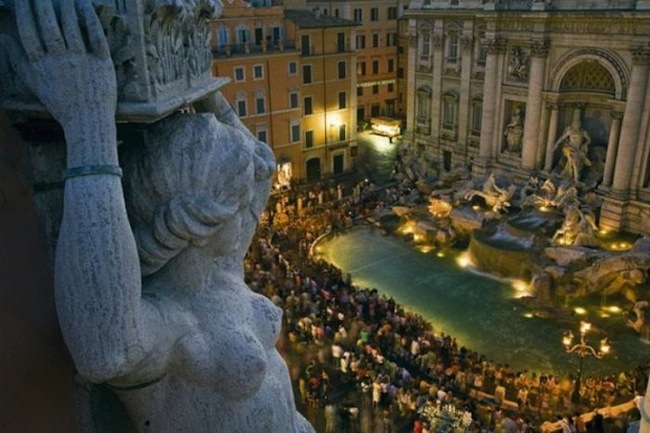 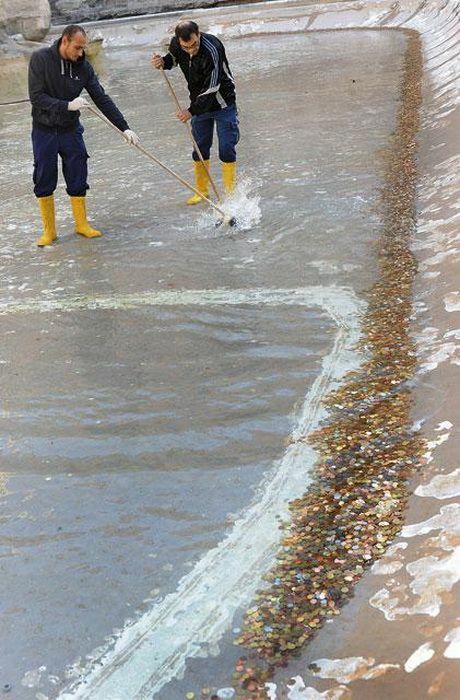 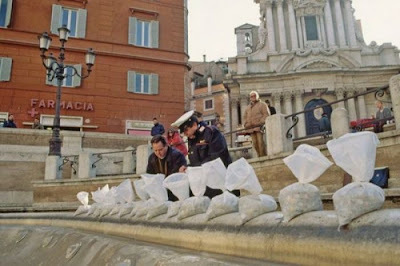 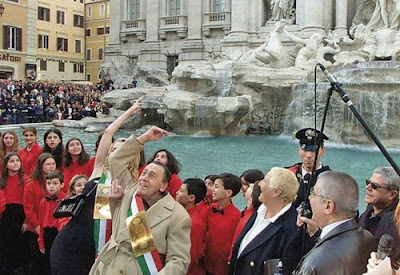 Municipality of Rome, sometimes cleans the famous Trevi Fountain. 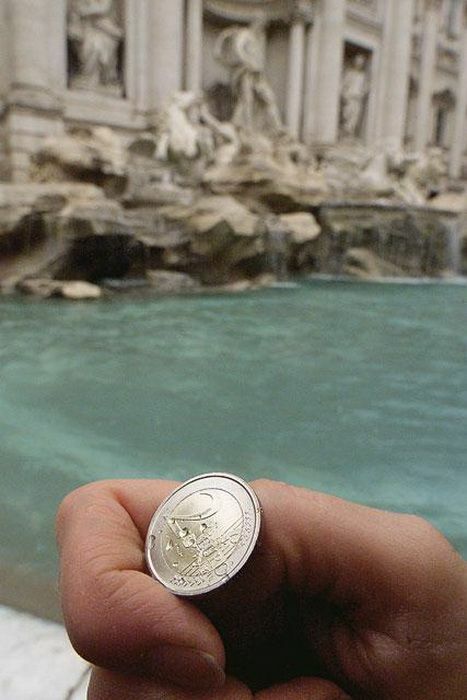 tourists who throw over your shoulder to return. By law, once the coin touches the bottom of the fountain, it becomes community property. And that's why this cute custom brings to Rome fairly good income. 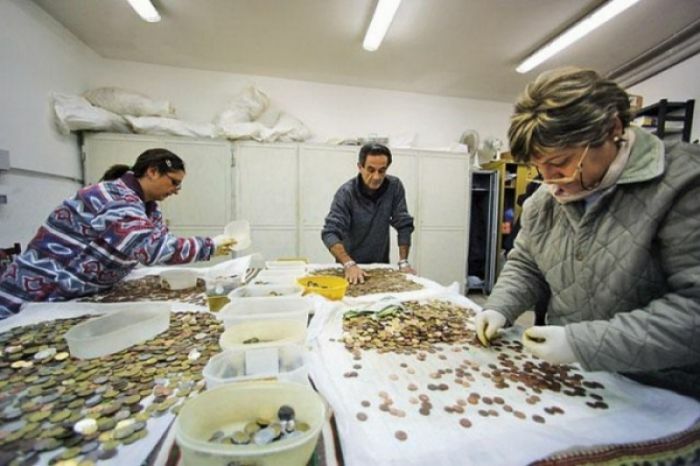 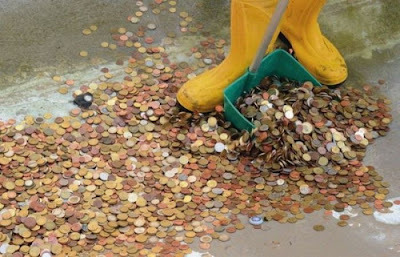 According to statistics, cleaners take out every year hundreds of thousands of euros spent on charity. 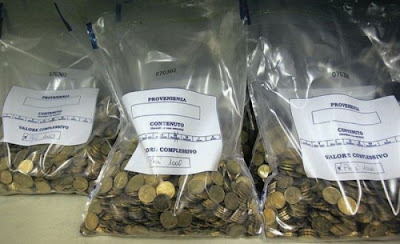 But this year, had to put money on the needs of the city - a crisis after all.